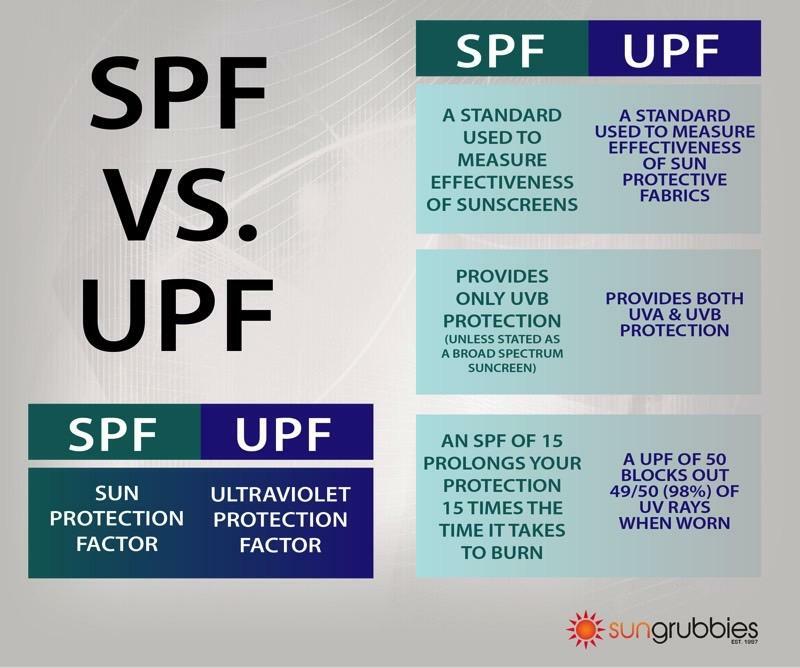 Summary of all major differences between SPF and UPF rating systems. What you need to know about SPF and UPF. Both SPF (Sun Protection Factor) and UPF (Ultraviolet Protection Factor) are standards used to measure sunburn protection. SPF, the standard used to measure the effectiveness of sunscreens, has been around for many years. The UPF system is relatively new and was created specially for sun protective fabrics. At first, American sun protective fabrics were rated using the SPF standard until the FTC finalized the UPF standard we have today. 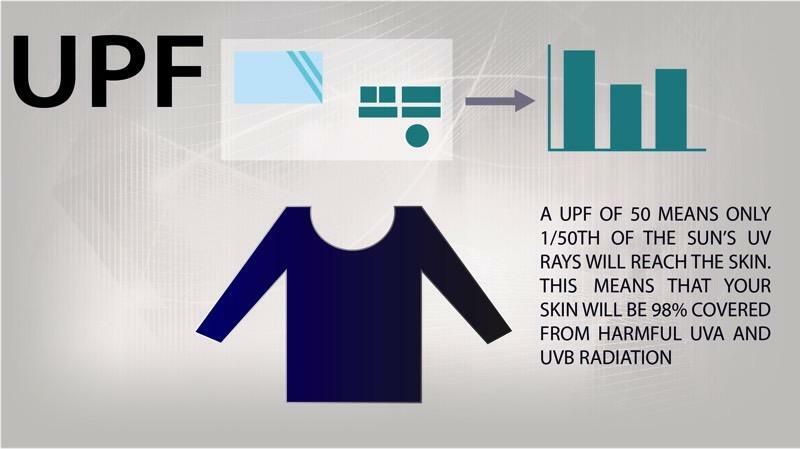 Use of the UPF standard is voluntary so some sun protective fabric manufactures still use the SPF system.